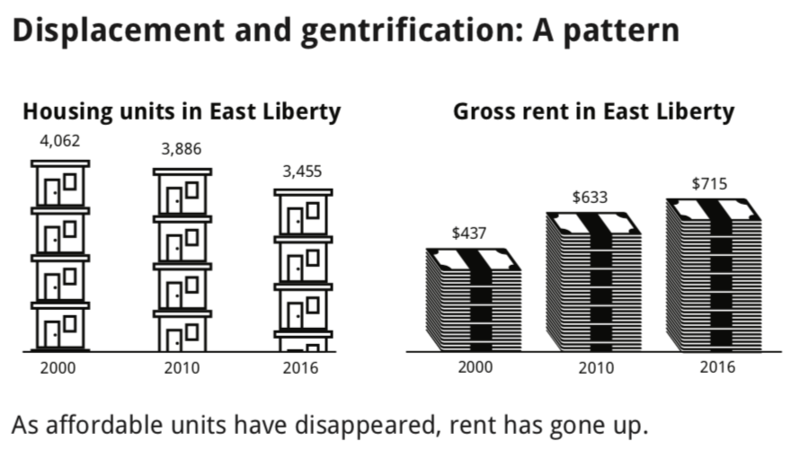 In 2015, LG Realty sent out 90-day eviction notices to all residents of Penn Plaza Apartments, many of whom are Black and lower income. Despite protests and Whole Foods pulling out of the deal due to bad publicity, LG demolished Penn Plaza Apartments and the site has remained vacant ever since. Meanwhile, the Penn Plaza Support and Action Coalition (PPSAC) has been fighting for new affordable housing on the former Penn Plaza site, as well as for former residents' right to return. 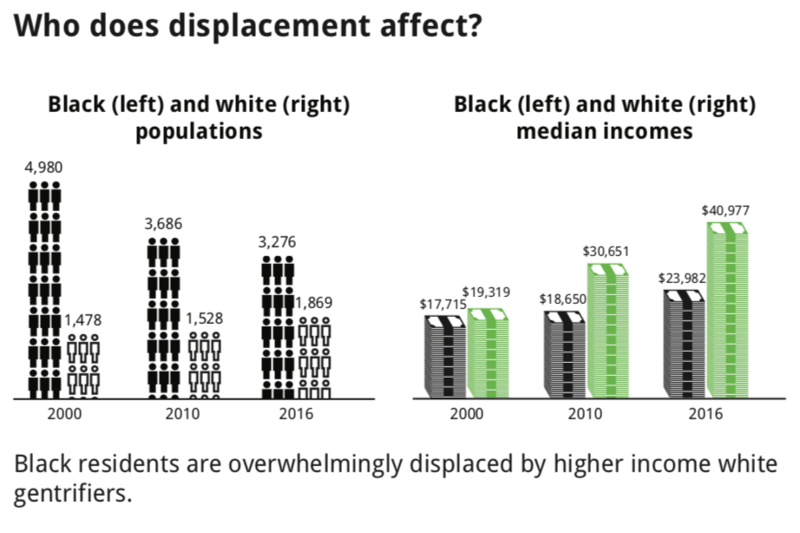 We will do data analyses and visualizations that support the notion that housing displacement, caused particularly by wealthier White gentrifiers moving into lower income Black neighborhoods, is a damaging pattern. 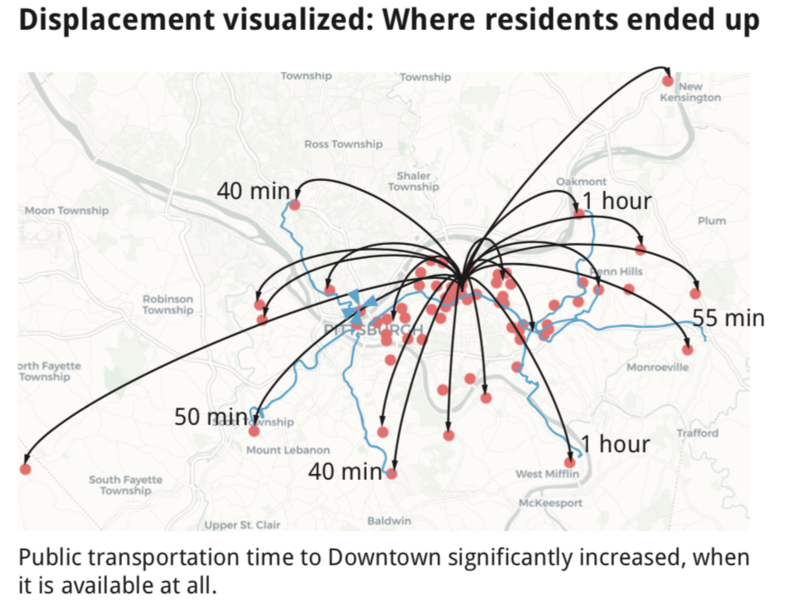 We will also develop visualizations that drive home the human impact of housing displacement. The first results of our analyses can be seen in a data flyer done in collaboration with the CREATE Lab. 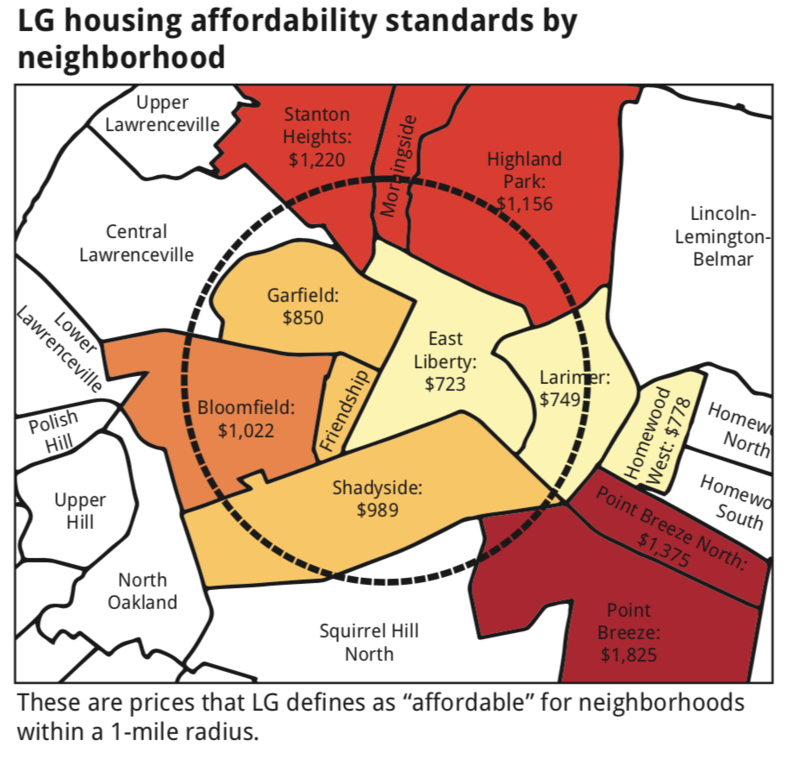 This analysis of census data clearly shows important patterns that can be used to decide zone policies for East Liberty and projects which are accepted by Planning Commissions. This flyer was handed out to several hundred people at the first public community hearing for LG Realty's new Revised Amended Preliminary Land Development Plan (RAPLDP). 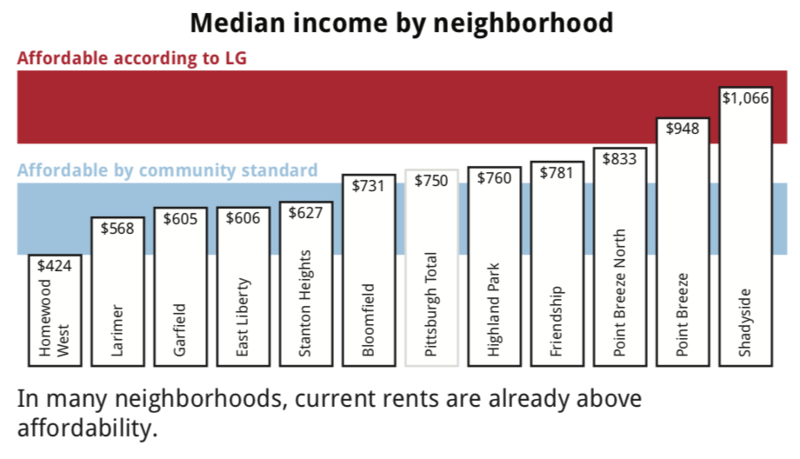 Drawing inspiration from the Boston Displacement Map, we will develop a Pittsburgh Displacement Map. We are working in collaboration with PPSAC, Homes4All Pittsburgh, other housing justice orgs, and local journalists and activists to document the human impacts of displacement in Pittsburgh. Data flyer done, but needs to be converted to a web-friendly format. Pittsburgh Displacement Map is under prototyping phase.